ALL ODDS AGAINST PETER OBI IN THE DIVORCE SUIT IN LONDON. Trial Justice Binta Nyako of the Federal High Court in Abuja, on Wednesday, struck-out six out of the eleven count criminal charges the Federal Government preferred against the detained leader of the Indigenous People of Biafra, IPOB, Mr. Nnamdi Kanu and three others. 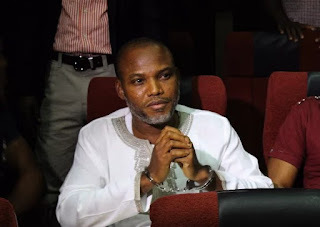 In a ruling, Justice Nyako held that the six charges were not supported by the proof of evidence the prosecution adduced against the defendants. 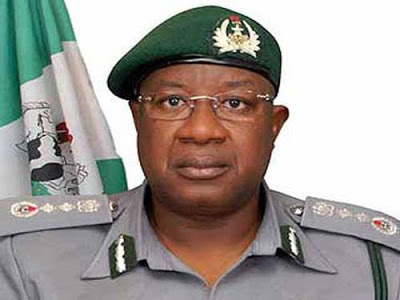 EFCC officials in Kaduna state have recovered more vehicles, tricycles and motorcycles said to be owned by former Comptroller-General of Nigerian Customs Service (NCS) Abdullahi Dikko Inde. Leader of the House of Reps, Femi Gbajabiamila, says no one should refer to President Buhari as being sick. According to him, Presidnet Buhari is on medical vacation and not that he is sick. Gbajabiamila said this while correcting one of his colleague and chief whip of the house, Alhassan Ado-Doguwa, who referred to President Buhari as being sick during plenary yesterday. 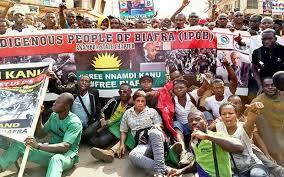 Some Igbo leaders have demanded the unconditional release of the leader of Indigenous People Of Biafra, Nnamdi Kanu. 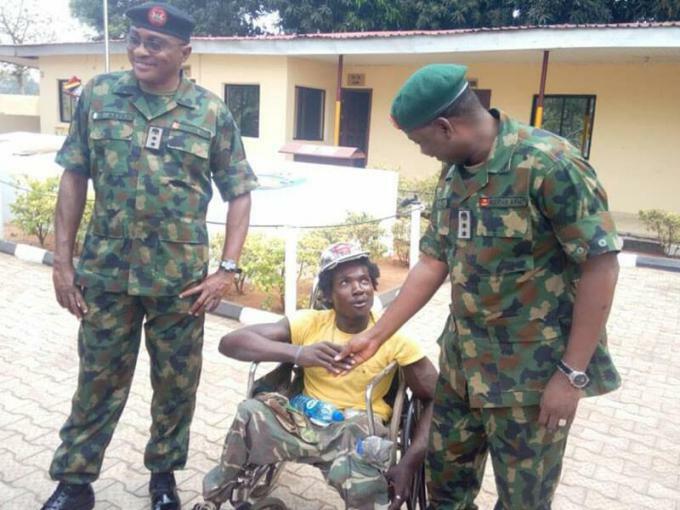 The cripple, Chijioke Uraku, being received at the 302 Artillery Regiment, Onitsha by Colonel Musa Sagir and the Commander of the Regiment, Colonel Idongesit Akpan. This is to inform the University Community especially the students that the first semester examination for the 2016/2017 academic session commences on Monday, March 6, 2017. Godwin Chukwunenye Ezeemo has called on Christian leaders to reinstate selfless service as the mainstay of their teachings. 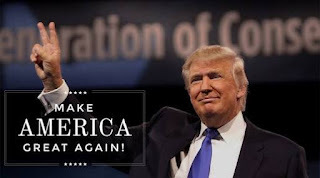 He said this while addressing a contingency of Christian leaders drawn from various denominations in Oko, Orumba North Local Government Area of Anambra State. CATHOLIC Archbishop Emeritus of Lagos Archdiocese , Anthony Cardinal Olubunmi Okogie, had never hidden his disdain for misconduct of political leaders as he had always criticised them, sometimes at great risk to his personal life. The fearless cleric has persistently admonished politicians to repent from their profane and sinful behaviours, which were at variance with the commandments of God. 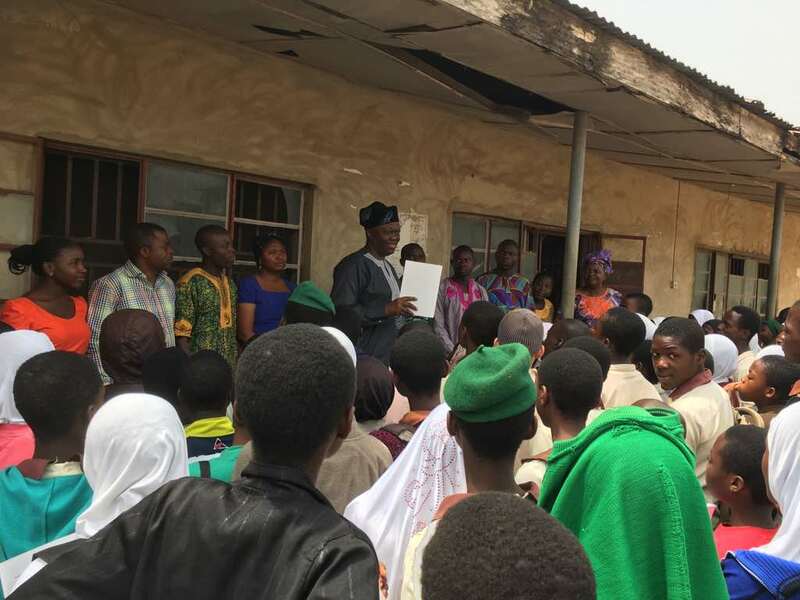 In a bid to stern the declining performance of the State of Osun students in public examinations, VolunteerCorps, a non-governmental organisation, is organising free tutoring classes for students across the state to adequately prepare them for their exams. 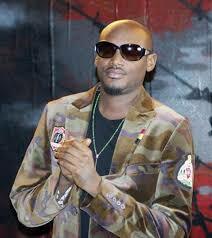 Nigerian musician, Innocent Idibia, popularly known as 2Face, on Monday, February 27th, presented a cheque of N3.5million to the United Nations High Commissioner for Refugees (UNHCR) in Lagos. This is a Press statement from the office of the Acting President, Yemi Osinbajo, which was released on Monday, Feb. 27, 2017. 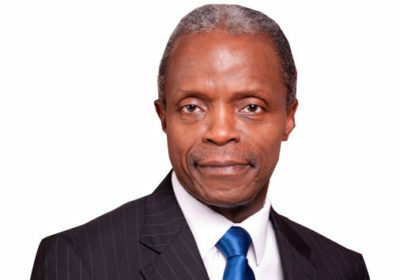 In what is called a ‘Gas Revolution,’ and following the renewed interactive engagements of the Federal Government with oil-producing communities in several states in the Niger Delta region, a plan to put in place a gas industrial park that is valued at about $20B through a Public-Private Partnership model is now in process. 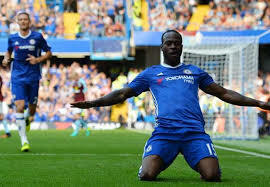 Moses has made 28 appearances in all competitions this season as wing-back, chipping in with four goals, and has started every premier league match for the club since the 1st of October, after enduring loan spells with Stoke, Liverpool and West Ham the last couple of years. 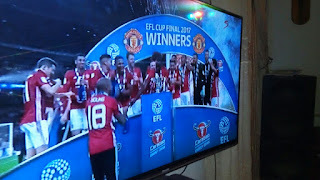 FIFA Best and Ballon D'or player of the year nominee Antoine Griezmann could very well be heading to Manchester United this summer if actions by his younger brother, who also acts as his agent is anything to fall for. Garba Shehu, the Senior Special Assistant to President Muhammadu Buhari on Media and Publicity, has narrated how he missed the president’s phone call on Saturday. 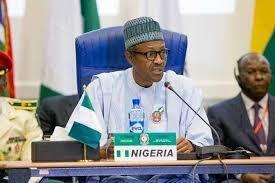 The presidential aide, who made this known on his Facebook page on Saturday, said Mr. Buhari originated a call to him from his London abode after he had spoken with some members of the presidential media team. OBIANO APPOINTS VISUALLY IMPAIRED, 8OTHERS PERM SEC *Set Pace as most gender sensitive. 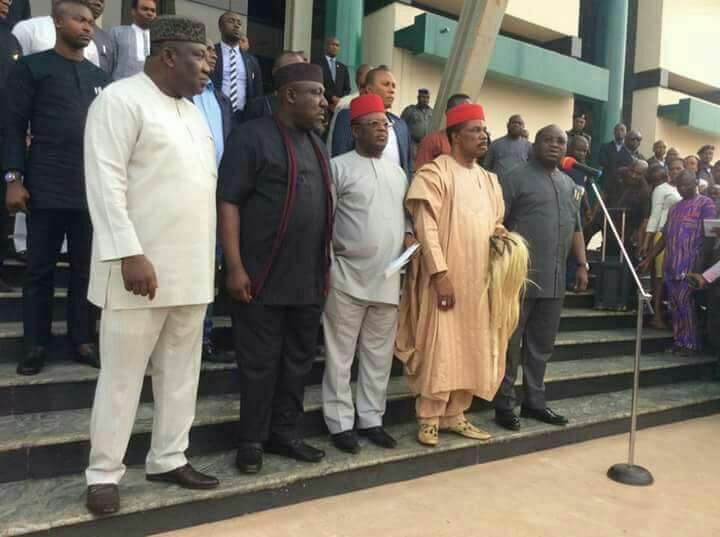 The Anambra state governor, Dr Willie Obiano this afternoon swore-in nine newly appointed Permanent Secretaries into the State Civil, including a physically challenged. Farmer, millers and for processors in Anambra State are calling on the people of the state to give Governor Willie Obiano another chance to rule the state. The groups are hinging their advocacy for Obiano on his ‘favourable agricultural policies in the state. 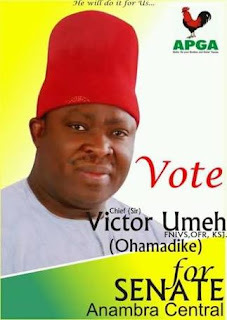 Former National Chairman of the All Progressives Grand Alliance (APGA), Chief Victor Umeh has called on the Independent National Electoral Commission (INEC) to conduct the Anambra Central rerun election without delay. Chief Umeh, who is the APGA candidate for the election believes that any delay would further deny the people of the zone their rights of representation at the National Assembly. Anambra North People’s Assembly has adopted Governor Willie Obiano as their sole candidate for the forthcoming November eighteenth gubernatorial election in the state. 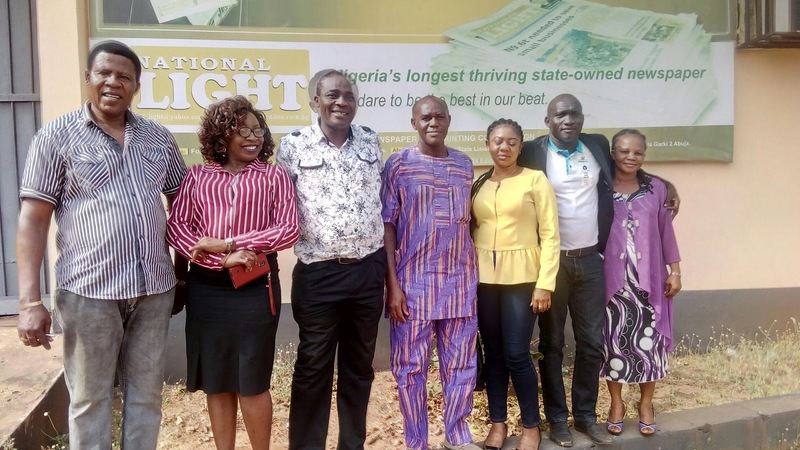 Sponsoring a motion to that effect, a political stalwart in the area, Chief Mike Areh said that due to monumental achievements recorded so far by the Governor, he should be allowed to complete his second term. The motion was seconded by the member representing Anambra East Constituency in the State House of Assembly, Mr Obinna Emenaka. 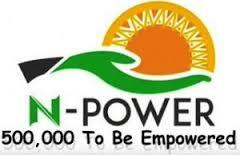 President Muhammadu Buhari has requested the appropriation of N157.75 billion in the 2017 budget estimates for the N-Power scheme to hire additional 350,000 unemployed graduates under the N-Power Volunteer Corps. 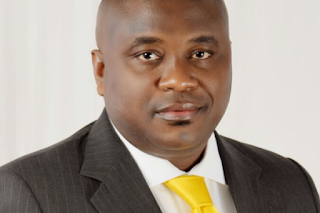 South East Governors' Forum Election: Ubah salutes South East Governors, congratulates Gov. Umahi on his emergence. I wish to appreciate our governors, South East Governors' Forum for their successful meeting yesterday which ended with the election of His Excellency Engr. 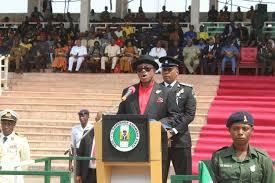 David Umahi, the executive governor of Ebonyi State, as the new Chairman, South East Governors' Forum. 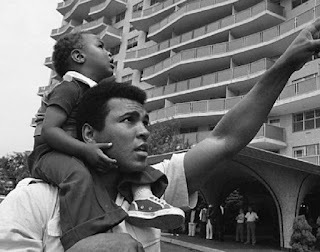 Muhammad Ali Jr., son of the legendary boxing champion Muhammad Ali, was detained by immigration officials at the Fort Lauderdale-Hollywood International Airport for hours on Feb. 7, according to several reports. 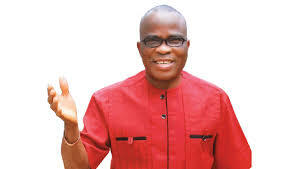 A Federal High Court sitting in Uyo, Akwa Ibom State, has asked the Independent National Electoral Commission (INEC), to immediately, withdraw the Certificate of Return given to the Senator representing Akwa-Ibom North East district, Albert Bassey Akpan. Somethings to consider. This is why we areSomethingsuble. Can Muslims be Good Americans? 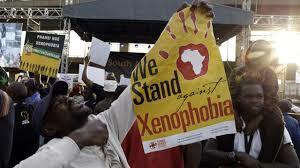 As tension mounts all over the country with the violent response of some Nigerians to the recent outburst of Xenophobia against her people in South Africa, some professional youths condemn the Nigerian students’ vengeful response while proffering solutions to the menace. Prince Ken Emeakayi does not speak for PDP - PDP Anambra State Chapter . 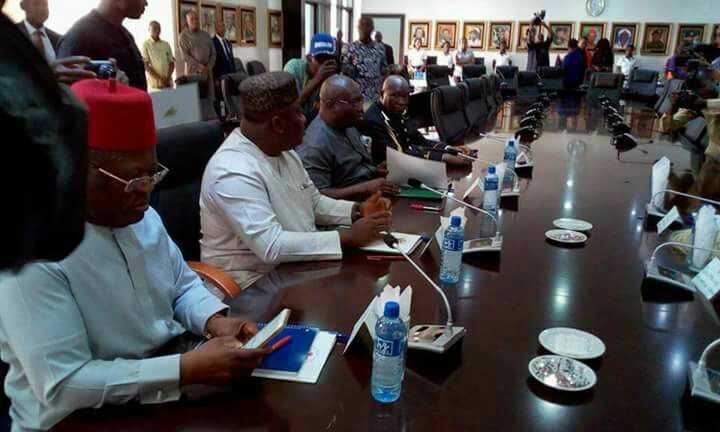 It has came to my notice as the Chairman of Peoples Democratic Party, Anambra State Chapter that Chief Ken Emeakayi has been stroking the embers of war and disunity in the state by calling for the impeachment of the Executive Governor of Anambra State. 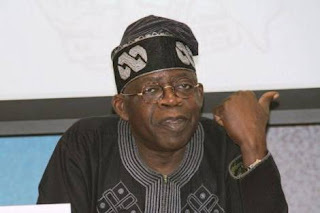 Former Governor of Lagos State, and National Leader of the All Progressives Congress, APC, Senator Bola Ahmed Tinubu, has said that he cannot rule out the possibility of running for the office of the president. NATIONAL YOUTH COUNCIL OF NIGERIA, SOUTHEAST ZONE. The leadership of the youth council southeast zone led by ever gallant Vice-president Comr Innocent Nduanya congratulates the new Chairman of the Governors forum southeast Engr David Umahi, the Executive Governor of Ebonyi state. Also all the Governors of the zone. Who collectively and positively working together towards southeast development. Based on its recent collective resolution. The position of southeast Governors combining effort to ensure security of the region. Southeast Gorvernors to set up a joint team through their commissioners of Economic planning to map out the master plan for the economic development of the zone. Also the support to the new leadership of Ohaneze Ndigbo led by Dr Nnia Nwodo. It is pertinent to note that, with all the map out plan by the Governors forum led by the chairman Engr David Umahi southeast zone is geared towards rapid development. NYCN southeast leadership once more congratulates His Excellency on your Chairmanship position of the Governors forum Southeast and to assure him that the leadership of NYCN Southeast zone under the leadership of Comr Innocent Nduanya is ready to work closely with you, his excellency and the governors forum to take the zone to its desired level. Cc. Comr Innocent Nduanya Vice-president NYCN Southeast zone. 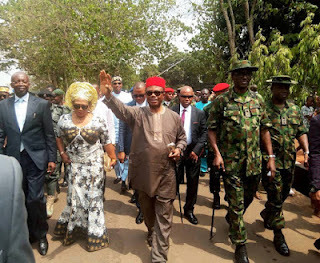 Governor Willie Obiano has inspected ongoing construction work on the five kilometer Achina -Oneh-Agbudu-Ogboji road being executed by his administration. 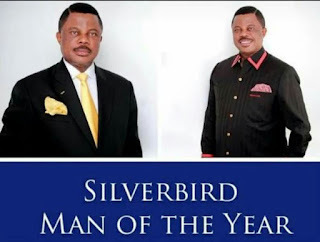 Government House Correspondent, reports that the road which was awarded by the previous administration in 2014, was adopted by the Obiano administration in keeping with its continuity stance. 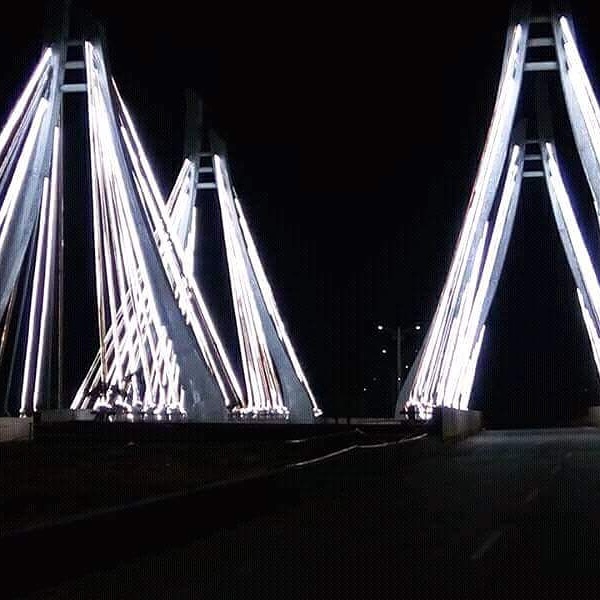 Speaking after he inspected the project, Governor Obiano noted that despite the present economic recession, his administration is undertaking the project, adding that resources will be committed to the project as they come. He also noted that when completed, the road will open up the agrarian communities in the area and give impetus to the realization of the state's agricultural development agenda and appealed to farmers in the area to organize themselves in cooperatives to be able to benefit from government's agric largesse. 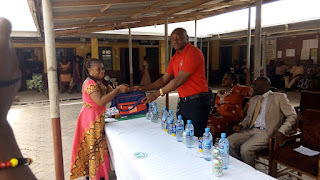 The Member representing Aguata One Constituency in the State Assembly, Dr Ikechukwu Umeh noted that aside the prospects it holds for the state agric sector, the road also leads to the Peter University of Awka Catholic Diocese which has potential to open up the host communities through the numerous activities it brings. On his part, the Auxiliary Bishop of Awka Catholic Diocese, Most Reverend Jonas Benson Okoye expressed gratitude to the governor for embarking on the road and promised that the Church will continue to support his administration. The governor also inspected the eleven point five kilometer Oluoha Road in Ihiala where he assured that asphalting will commence on the road in the next two weeks. He thanked people of Ihiala for their support to his administration and promised to do more for them as the state's resources improve. In his remarks, the traditional ruler of Ihiala, Igwe Cosmos Okechukwu, said Ndi Ihiala have resolved to give him their support because of their belief in the transformation he is bringing to the state, saying that the completion of the road will strengthen their resolve to continue to support him.Governor Willie Obiano has inspected ongoing construction work on the five kilometer Achina -Oneh-Agbudu-Ogboji road being executed by his administration. The governor also inspected the eleven point five kilometer Oluoha Road in Ihiala where he assured that asphalting will commence on the road in the next two weeks. 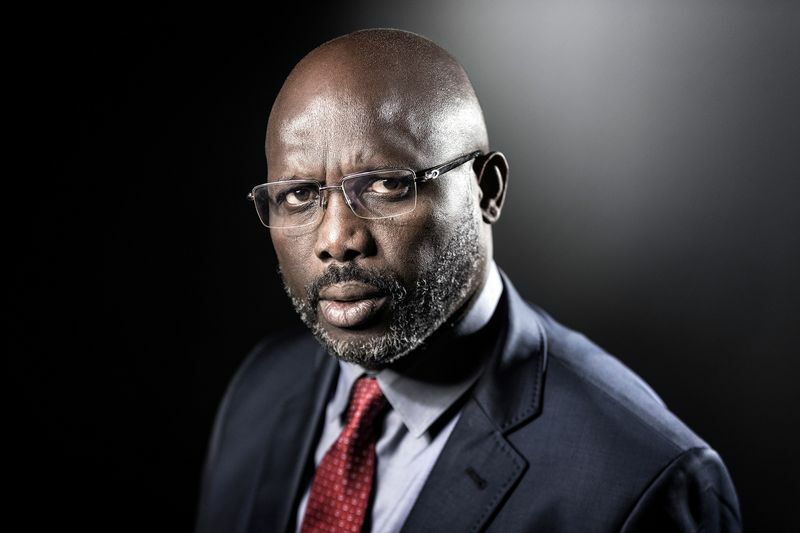 He thanked people of Ihiala for their support to his administration and promised to do more for them as the state's resources improve. In his remarks, the traditional ruler of Ihiala, Igwe Cosmos Okechukwu, said Ndi Ihiala have resolved to give him their support because of their belief in the transformation he is bringing to the state, saying that the completion of the road will strengthen their resolve to continue to support him. 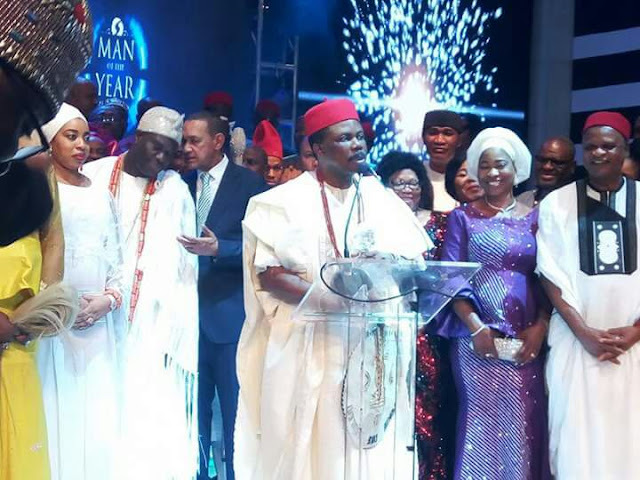 Oil magnate and Billionaire Business man Dr. Patrick Ifeanyi Ubah has aired his views over the agitation for actualization of sovereign state of Biafra by some indigenes of the South-East geopolitical zone of the country. “Having followed discussions on this noble forum and in a bid to contribute my own quota to the discourse, my position on whether or not to remain in Nigeria is for the South-East to stick with Nigeria. My reasons are simple - the South-East is particularly not ready for such a move as we are infrastructurally and industrially deficient. 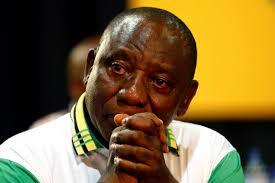 The prospects of such a move is highly unfavourable. Firstly, the South-East lacks the essential and requisite agricultural deposits to sustain herself. 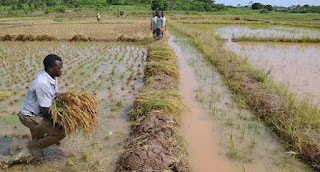 While harbouring the thoughts of self-determination, there is urgent need for an agricultural revolution through progressive policies within the South-Eastern states. “The South-East needs to exploit areas where she already possesses comparative advantage in agriculture and promote policies that will enhance her productivity and trade. 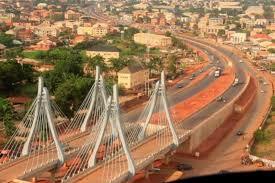 Secondly, industrialisation is key to whatever the South-East intends to achieve and stand for. 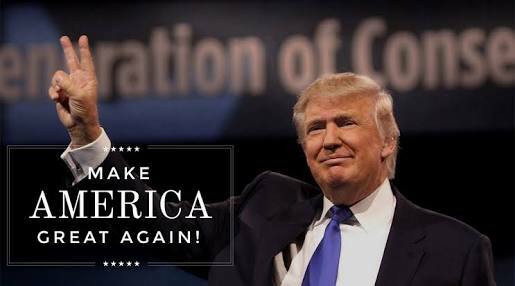 We saw BRIC+S countries (Brazil, Russia, India, China +South Africa ) attain their projected economic giant status at the end of 20th century. 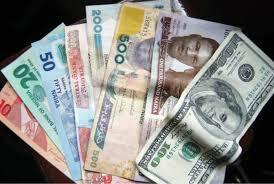 Today, all eyes are on the new projected MINT Countries (Mexico, Indonesia, Nigeria and Turkey). MINT is projected to emerge as the new global economic giants in this 21st century after the emergence of BRIC+S and there is absolutely no doubt in my mind that the South East needs to be to Nigeria what Shanghai, Beijing and Guangzhou are to China before thinking of separation from Nigeria. 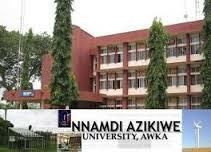 “Another approach would be to make the South-East a health tourism hub for Nigeria and West Africa by extension. There is need to redirect the massive revenue currently being enjoyed by these Indian and American hospitals to the South East. The overall Indian healthcare market is worth around $100billion and is expected to grow to $280 billion by 2020, a Compound Annual Growth Rate of 22.9%. Is this not strategic enough for the South East to tap into as a means to creating value before harbouring thoughts of self-determination? “Finally, it is pertinent to note that this revolution must be driven by State Chief Executives. In essence, the State Governors are paramount to the actualization of these ideas. It's high time we stopped our dependence on federal allocation which merely serves to pay civil servants. There is urgent need to look at securing partnerships with our brothers and sisters in the diaspora as well as the international community. 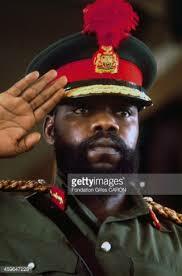 However, all these can only be achieved if there is transparency, accountability and the requisite zeal to pursue this cause within the confines of those who possess the mantle of leadership in the South-Eastern states as such qualities will consequently breed confidence in the minds of potential investors. “Thank you, my brothers and sisters. Yesterday, at Nnewi, the Association of People Living with Sickle Cell Disorder in collaboration with NAUTH, Nnewi and NDLEA, took to the streets of the industrious city to alert people’s awareness on the dangers of drug abuse and self-medication.